August 1, 2018 – Oak Ridge National Laboratory scientists have improved a mixture of materials used to 3D print permanent magnets with increased density, which could yield longer lasting, better performing magnets for electric motors, sensors and vehicle applications. Building on previous research, they combined thermoplastic nylon polymer with neodymium-iron-boron magnet powders into pellets of feedstock materials. Using innovative additive manufacturing techniques allows the team to print permanent magnets into complex shapes without wasting material. Plus, the resulting magnets can be converted back to a feedstock and reprinted as new magnets if needed. “This is especially important considering magnets of this caliber are typically made with critical rare earth elements, which are in short supply and difficult to acquire,” said ORNL’s Parans Paranthaman. 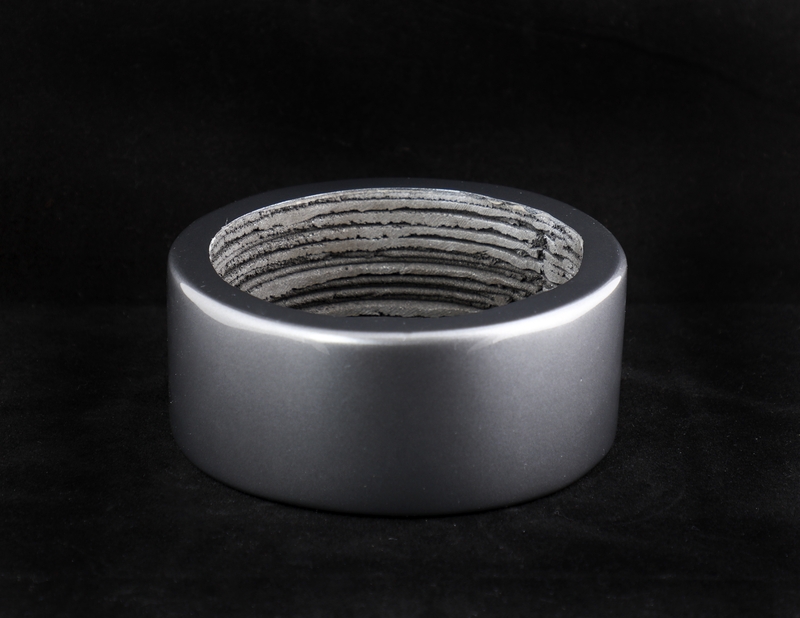 The scientists demonstrated the performance of the 3D printed magnets against sintered ferrite magnets in a small, direct-current motor. They published their results in Additive Manufacturing and the Journal of Magnetism and Magnetic Materials.